Among the worlds’ most challenging and beautiful trekking trails, the Himalayan odyssey will top the list. Himalayan network of mountains are home to few of the largest, highest and most inhabited mountain ranges in the world that captivates every daunting soul. These isolated lands are also considered as holy sites by Hindus and Buddhists and is scenically mesmerizing. Here is list of top trekking trails of Himalayas – the hidden kingdom of the gods! Goecha La, situated at an altitude of 4940 metres above the sea level is the highest mountain pass of Sikkim in the southeast part of the Indian Himalayan network towards Mount Kanchenjunga is the third highest mountain peak in the world. The itinerary to reach the peak takes the hiker close to the extravagant vistas of the potent Kanchenjunga in middle of the splendid scenery of the other smaller Himalayan peaks like Pandim and many others within its range of mountains. 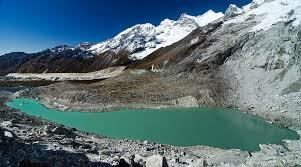 This popular trek begins from the Yuksom to Dzongri and move up to Goecha La and finally stops at the Samiti Lake. 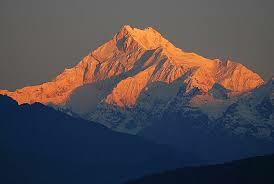 Dzongri situated at an altitude of 4020 metres offers splendid views of the Mount Kanchenjunga and Mount Pandim. The trek passes through some of the densest Rhododendron forest and unexpectedly the views open up to the vistas of the highest mountains in Himalayas. The best season to embark this trek is from March to May and would require 12 to 15days to complete. The Pin Parvati Pass trek is said to be one of the most challenging treks as it involves many changing landscapes with frosty mountain peaks to pristine lakes to stunning paddocks with plenty of multi hued wild flowers and pine trees. This trekking itinerary was first discovered by an English Explorer in the early 19th century. The trek begins from the Manikaran and passes besides the River Parvathi and mends through the high altitude cold desert regions of Spiti Valley. The Pin Parvati Valley, situated at an altitude of 5319 metres above the ground level is also famous as ‘Valley of Gods’, is nestled admits the Dhauladhar and Pir Panjal ranges. The trek proceeds through the natural rock bridge at Pandu and reaches at the Lake Mantalai, a well-know place for Hindu Pilgrimage. The One gets to enjoy the beauty of the several peaks like, Parvati South, Parvati North, Pinnacle and Kullu Eiger from this place. This trek is referred as one of the most daunting treks just because of the altitude but since it involves a long trekking trail beyond habitation. The trek ends at Sangnum or Mikkim, a small quaint village surrounded by the lovely fields. Visiting the ancient Buddhist monasteries and Gompas is yet another fascinating things to-do here. Gompas like Kungri, Tabo, Dhankar, Lahlung and Ki as well as Kibber are quiet popular. The best season to embark this trek is from June to October and would require 13 to 17 days to complete. The Annapurna Circuit is rightly called as the Classic Himalayan Trek as this trail offers more than any other trek of the same length. The itinerary offers splendid views of the Annapurna and Dhaulagiri peaks and the awe-inspiring meadows that dot numerous Hindu villages. 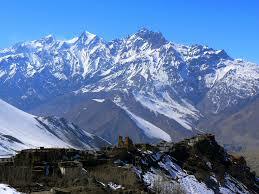 Annapurna Circuit Trek is said to be the tenth highest peak in the world. The trek goes through a various geographical and cultural differences with an astounding range of flora and fauna in between. As the trek moves towards the north of the Himalayan Network as bypass the Tibetan Plateau one gets to experience the Buddhist culture predominantly. The circuit crosses through one of the most incredible mountain network and glaciers of the Annapurna Conservation Area. The trek passes through the Kali Gandaki Gorge, world’s deepest gorge of about 8,000-plus meter peaks and crosses the highest pass – Thorong La on the way from Manang to Muktinath a holy site for both Buddhists and Hindus, and Braga, one of the oldest monasteries in the region. Best season to opt for this trek is between March to May and October to November and would require 22 to 25 days to complete. Mount Kanchenjunga, famed as the “Queen of Mountains” is the world’s highest peak soaring to an altitude of 8586 metres above the sea level. The trekking to this mighty peak is mix of varied ecological zones, from the subtropical land to frosty wilds. This mountain peak boasts of great valleys bounded by lofty peaks offers splendid views of the Kanchendzonga Bio-Sphere Reserve Forests. Kanchenjunga, which means, five treasures of the great snow and that is referred to the five mighty peaks that sum to be the Kanchenjunga. The trail begins along the River Tamur through Pipal trees and the quaint traditional villages. This journey into the world of high-mountain network is considered as one of the most challenging treks of Himalayas as the circuit passes through deep isolated mountain terrain and is most inhospitable. The trek also offers you to enjoy the blend of culture and cultural harmony here as one gets to witness the Nepalese, Tibetan Buddhist and Indians living in same neighbourhood. As you pass through the glacier, you’ll finally get to witness the implausible closer look of the potent peak as you move closer to the Kanchenjunga base camp at Pang Pema. You’ll also get to see the majestic panorama of the Wedge Peak, The Twins, Pyramid Peak and Tent Peak. Best season to opt for this trek is between April to June and October to December and would require 15 to 17 days to complete. Dhaulagiri, the seventh highest mountain peak, situated at an altitude of 8167 metres above the sea level is considered to be one of the most difficult treks of Himalayan expedition. The Dhaulagiri trek passes through the snow capped mountains and glaciers, traversing by the French pass in to the secluded valleys and routes to the Rivers of Kali Gandaki and Bheri. One gets to witness the mighty peaks of Annapurna and many other lofty mountain networks that are utterly uninhabited and serene. 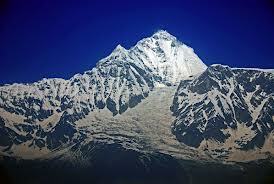 Dhaulagiri which means the White Mountains is forested and populated by the Magar People. Seemingly endless trail for several days, this trek traverse through lush green forest and one get to witness exotic wildlife here. The nature’s best kept secret Gandaki Gorge, the deepest Gorge in the world was recently opened by the government. One gets to witness the splendid vistas of the Dhaulagiri, Thorong peak, Annapurna and Kali Gandaki River along the trail. Along with the mighty nature, you would also encounter the semi-wild yak herds, mountain sheep in the out-of-the-way valleys of this region. The teahouses and lifestyle of Nepal’s ethnic people such as Gurung, Chhetri, and Magars is all set to mesmerize the hikers. Best season to opt for this trek is between March to May and September to November and would require 26 to 28 days to complete. Trekking on the frozen river of Zankar is an ultimate experience for every daunting soul. The traditional name of this trek is “Chadar Trek” which means blanket in the native language, was the sole way in and out for Zanskaris in winter when all other routes would be blocked due to heavy snow fall at high passes. Thus, it had been the ultimate trade route for ages for Zanskari populace. 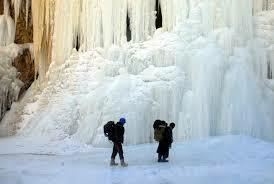 Now the route is also well-known as winter trekking amongst adventure enthuses. Trekking on the frozen sheet of ice where the temperature can drop down around -30 C can turn anybody’s blood cold, literally! But organised and professional hiking group can assist you to make this dream come true. This trek takes you to most uninhabited and most secluded parts of the terrain and allows you to experience the ancient Buddhist monasteries like Karsha and Zangla and remotes villages that are frozen in time cuddled in the lowest point of deep valley of Zanskar ranges. The average temperature of the region in winters remains roughly to -20 during daytime and -25 to -30 during night. Best season to opt for this trek is from January to March and would require 17 to 20 days to complete. 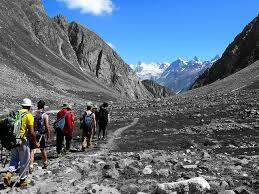 Kinner Kailash Circuit trek is adventurously religious trek one can think of! 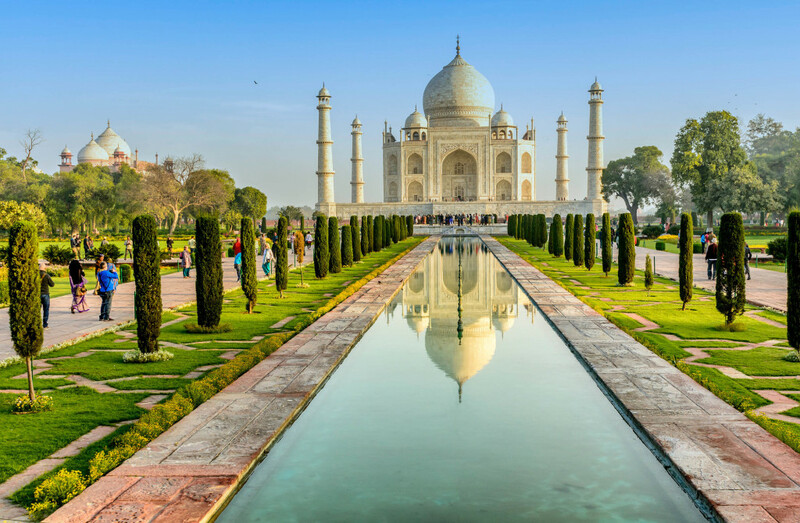 Located in the Himachal Pradesh state of India, surrounded by the Tibet to the east and bounded by three of the world’s majestic mountain ranges towards the northeast – the Zanskar, the Greater Himalaya and the Dhauladhar is believed to be the abode of the Lord Shiva. Situated at an altitude of 6500 metres above the sea level, Mount Kinnaur Kailash has religious implication for a gigantic “SHIVA LINGAM”- the symbol of Lord Shiva which is a 79 feet vertical rock formation and believed to be one of the legendary abodes of Lord Shiva. 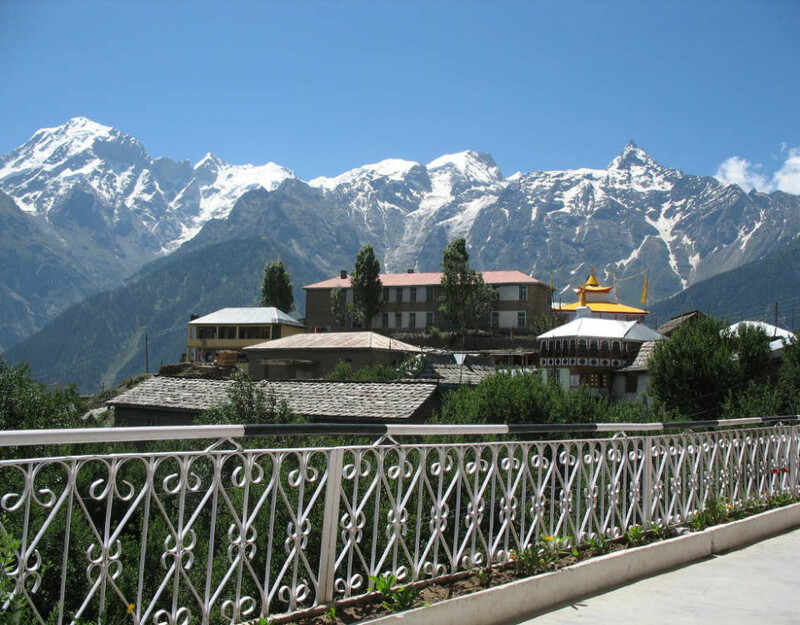 In the ancient legends, the populace of Kinnaur are known as Kinners, the halfway between men and gods. You would also get to see thousands of year old monasteries here. The circuit takes you to many beautiful Hindu and Buddhist villages like Sangla Valley and Hangrang valley and will lead you to isolated cold desert terrains of Himalayas. 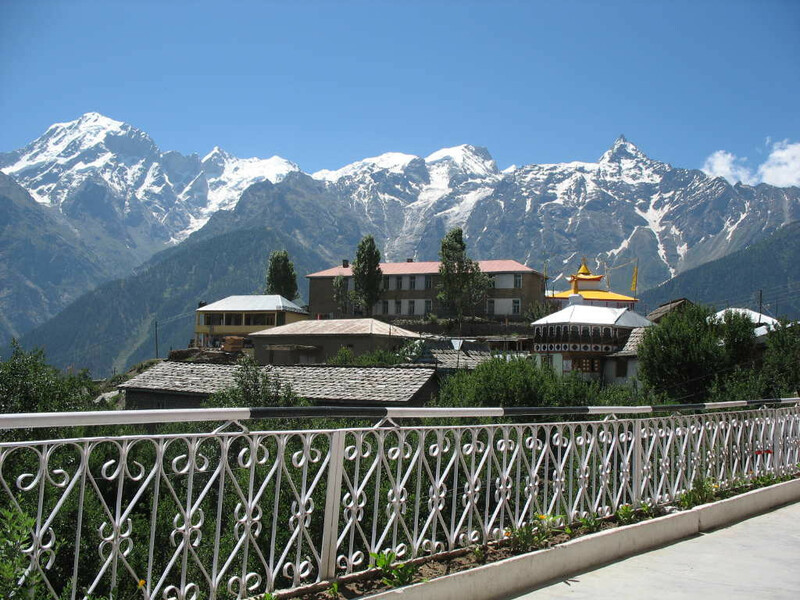 Parikrama or circumambulation to the Mount Kinnar Kialash begins from Kalpa via Triung valley and back to Kalpa via Sangla valley. 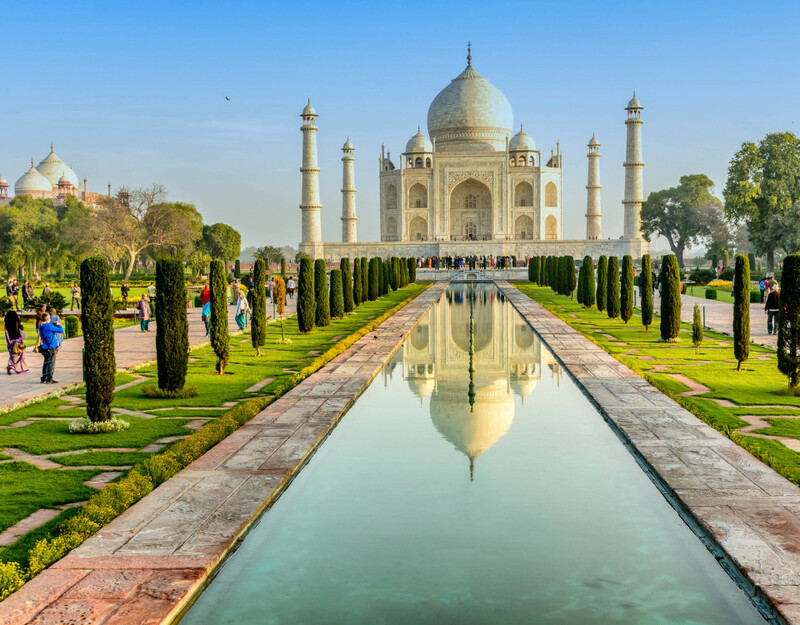 This itinerary is considered to be one of the most challenging and it is even believed that one has to be equally spiritual and adventure passionate to embark this voyage. 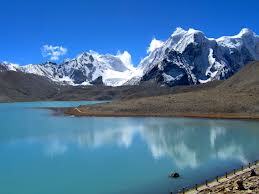 Best season to opt for this trek is from May to September and would require 12 to 15 days to complete. 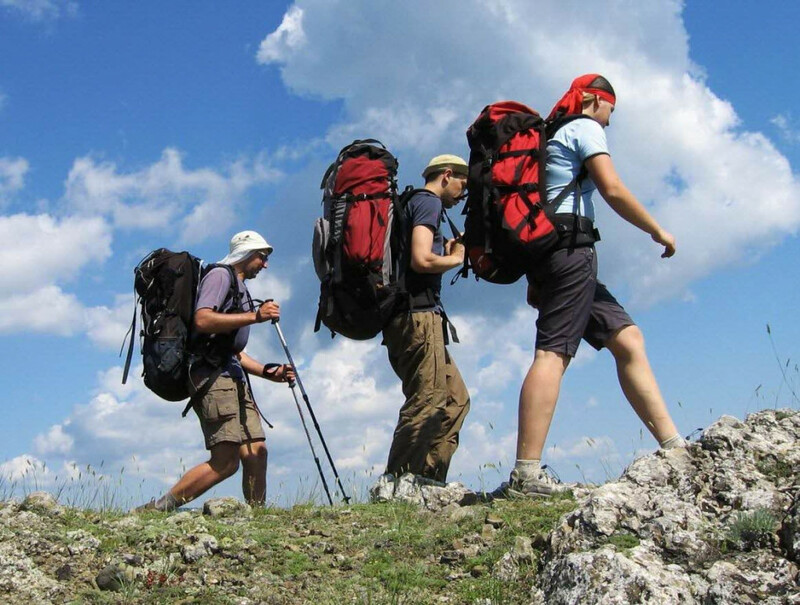 One can find all the popular trekking destinations here and FTD Travel provides flight tickets and bus trips till the last mile possible. Enjoy your Trekanation! 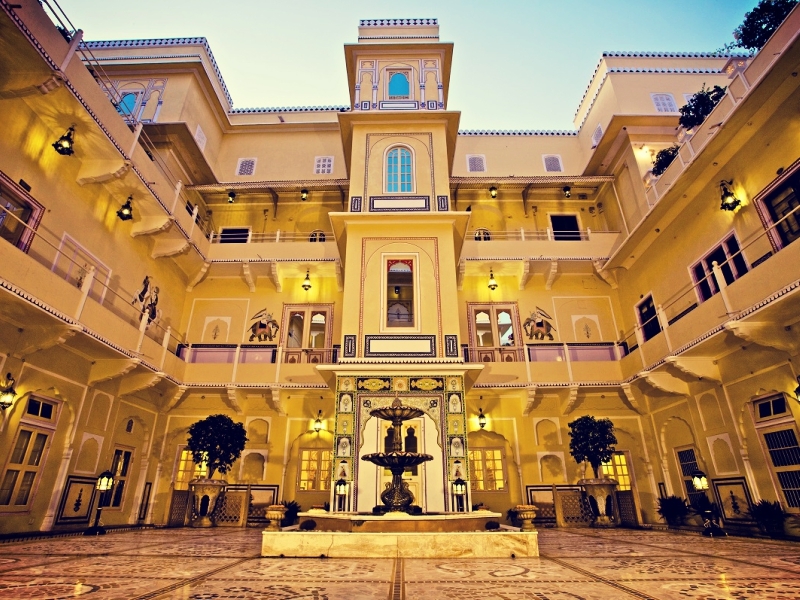 Don’t forget to check the adventurous destinations in and around India.